Perfect for your blossoming garden. 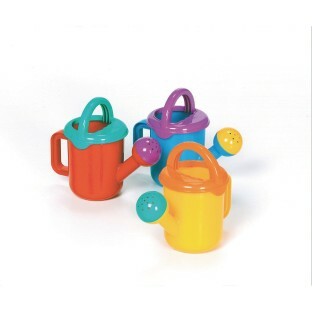 Plastic watering can in three assorted colors. Top handle and side handle make it easy to pour. Can is 7” high. No choice of color.